Striving to provide excellence and results you can count on!! I am fortunate enough to have grown up in the Catskills, an area that combines beauty and tranquility with opportunities for outdoor activity and local involvement. Because of my background, I understand all that this area has to offer. There are many different attractions for each season from swimming and boating on the lakes and rivers to skiing and hunting in some of the most scenic views in the Northeast. There is something for everybody in this place I call home. In order to buy a house in this market, you need someone who is willing to go above and beyond for you. I am hardworking, ambitious, dependable, and enthusiastic. You can put your trust in me to give you all that I have to offer when buying or selling your home. My experiences will give you a fresh and genuine perspective. Whether you are a first time homebuyer or someone who is looking for a second home to get away and relax, I look forward to walking through this process with you and making your real estate experience positive and fulfilling. 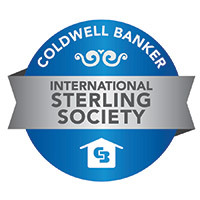 I am proud to be a part of a successful team at Coldwell Banker Timberland Properties. In choosing to work with me, count on the expertise, integrity, and world-wide resources of the top real estate firm in the Catskills. I look forward to hearing from you and building a relationship on mutual respect and trust. Andes, Bovina, Denver, Fleischmanns, Halcottsville, Margaretville, New Kingston, Roxbury.